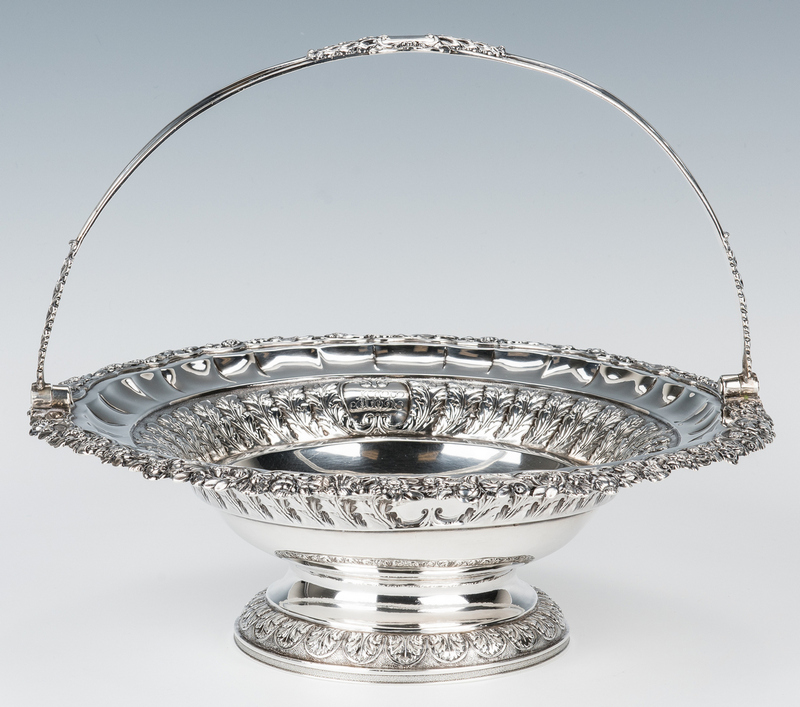 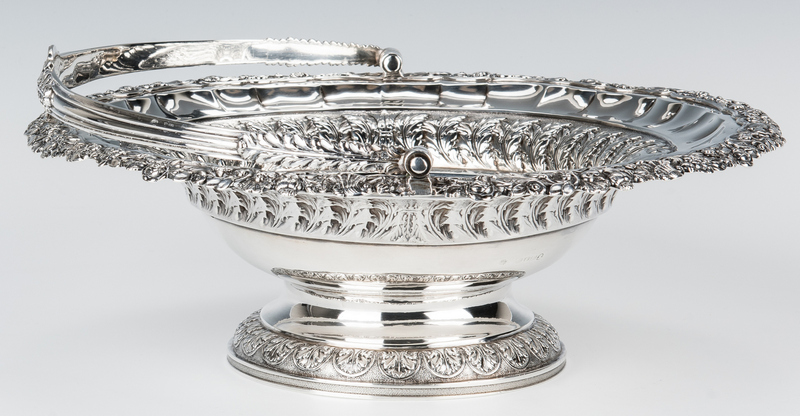 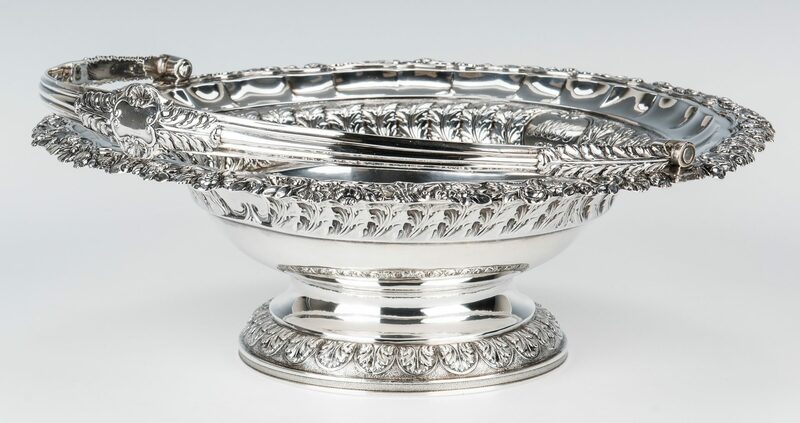 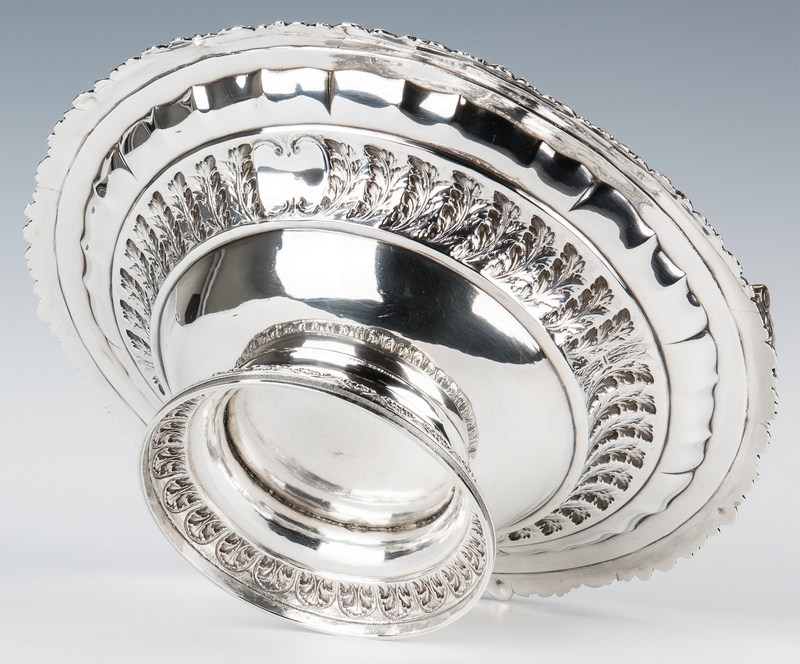 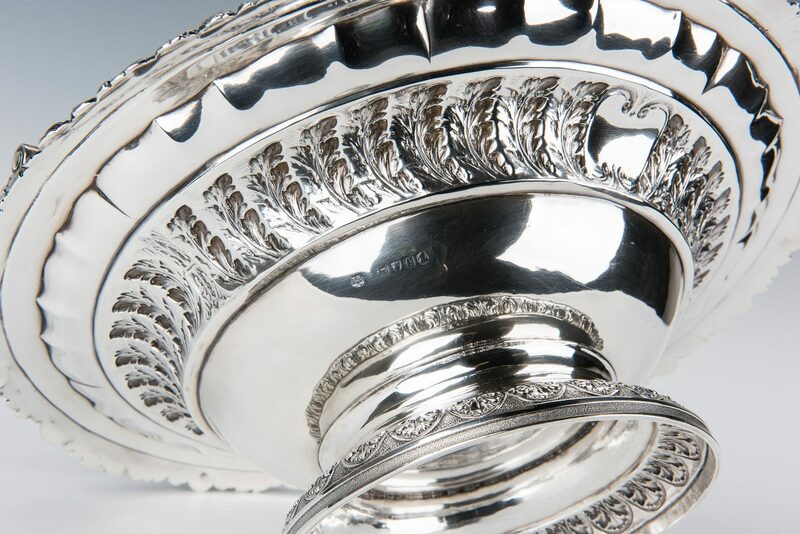 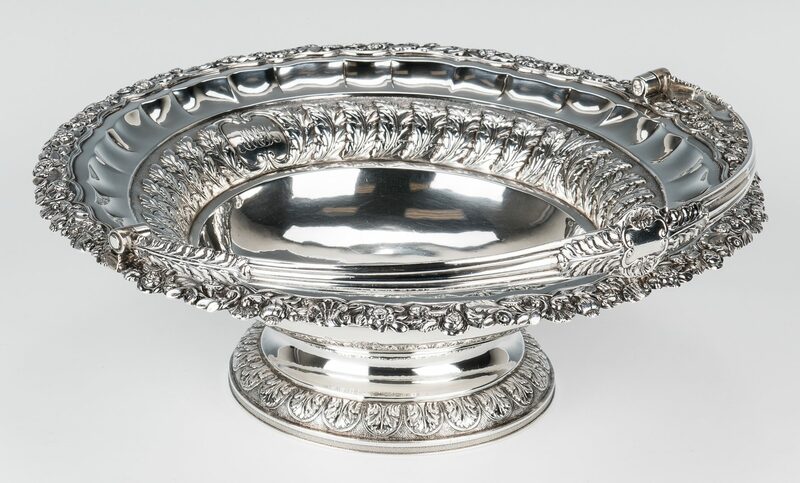 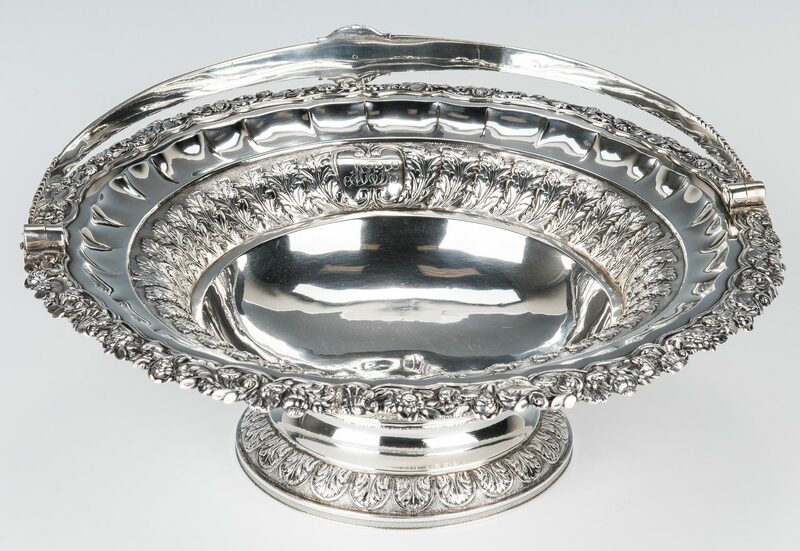 English sterling silver bride's or cake basket, round footed form having a swing handle, with fluted and raised floral rim, acanthus leaf band below with monogrammed cartouches, and an anthemion decorated foot. 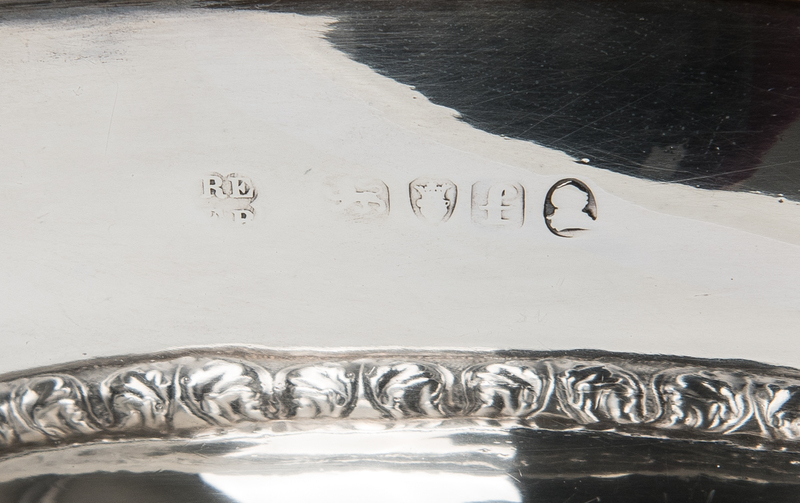 Marks for Rebecca Emes & Edward Barnard I, 1820 date mark. 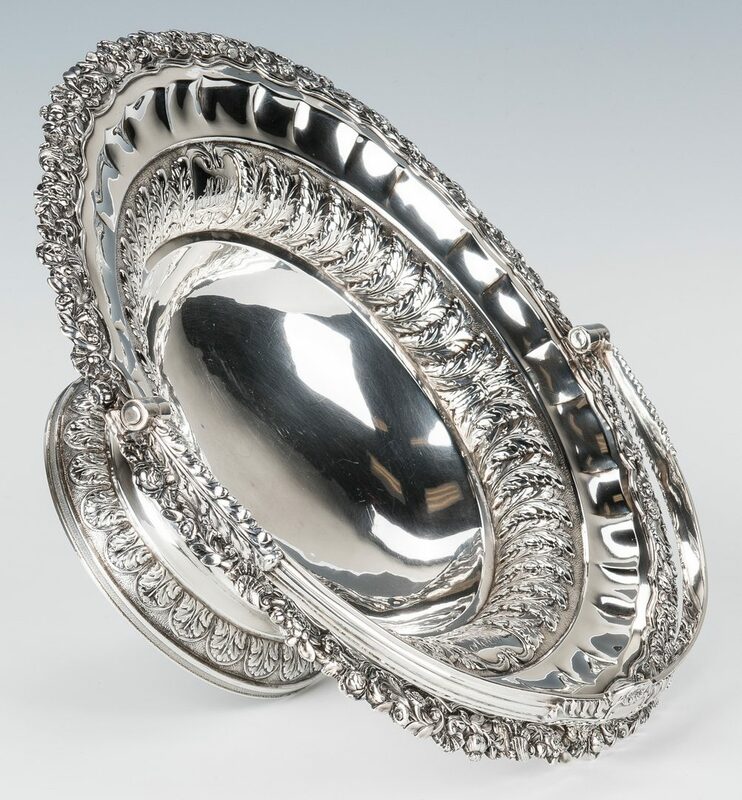 5 3/8" H x 12 3/4" dia. 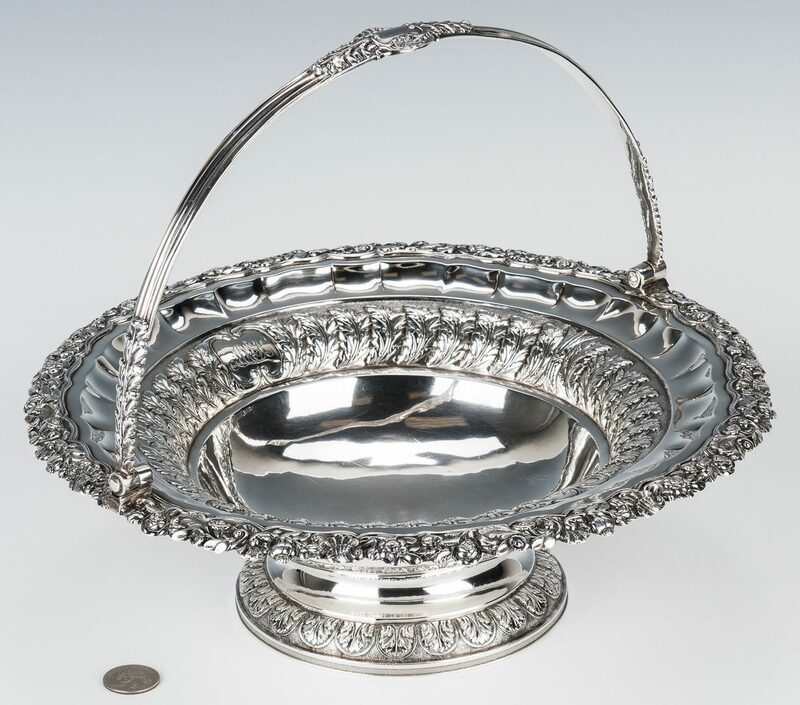 34.910 troy ounces. 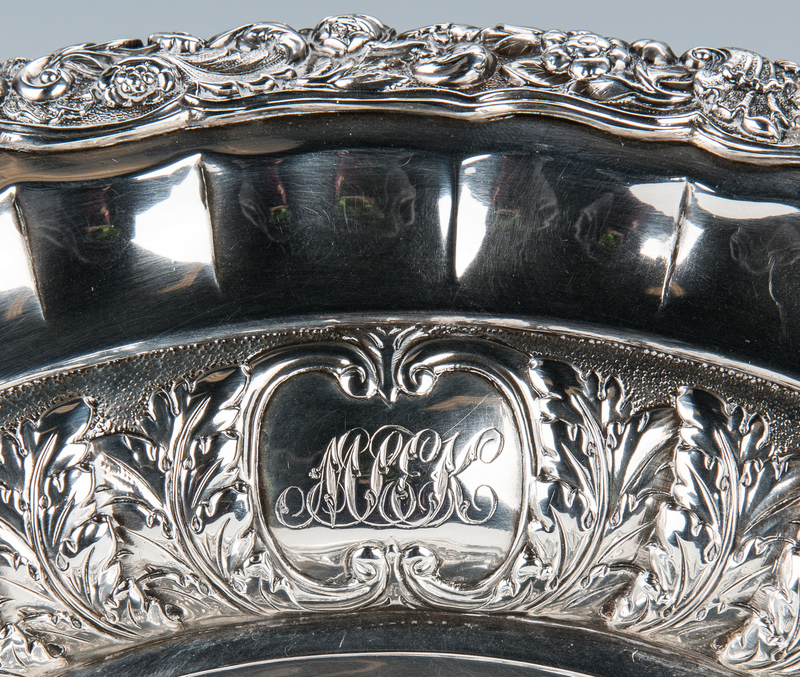 CONDITION: Monogramed MEK, minor surface scratching.